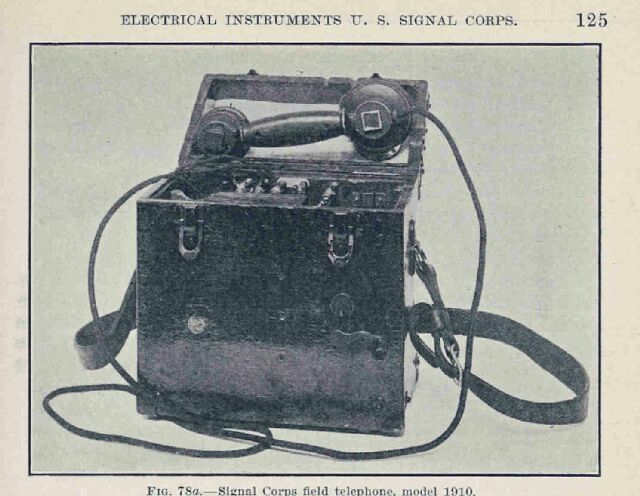 I'm a phone collector who was once in the U.S.Army Signal Corps. 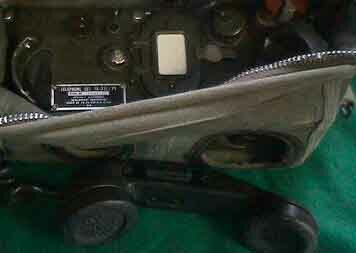 I got to use everything from a switchboard that had to have been in use during the Korean war [remember tip and ring? ], to modern computerized commo equipment housed on the back of trucks [repair consisted of whole circuit boards that you removed instead of replacing a bad diode] and equipment that you strapped to your back. It was quite an education and definitely aided in fitness [hauling those reels of cable up the side of mountains on field exercises didn't hurt either!]. Dwelling on this made me think that we needed a site featuring the phones of the American Military. Here I've included a few pictures of phones I've seen, have in my collection or that others have in their collections. Where I've found info it's been included with the picture. A few great people have contributed info. As you can see I haven't gotten pictures or info on all the phones that have seen service, nor is my list complete, but we're adding to it all the time. 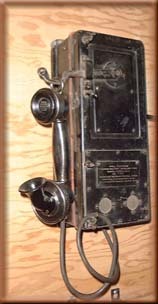 Do you have a picture of a phone in your collection or info about how these were used? If you'd like to add to the page, you can e-mail me at the address below. I'd love to hear from you! 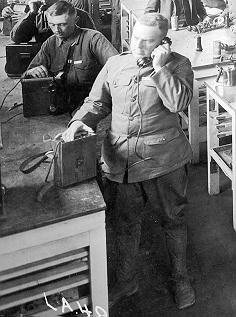 We've come a long way in military communications. Did you know the first time commo was organized for use in combat was during the Civil War. We started out with flags and torches. It's come a long way hasn't it! Take a look at these. They are out of a 1910 signal corps manual. don't know brand, not Sumter. Signal Corps marked name tag. 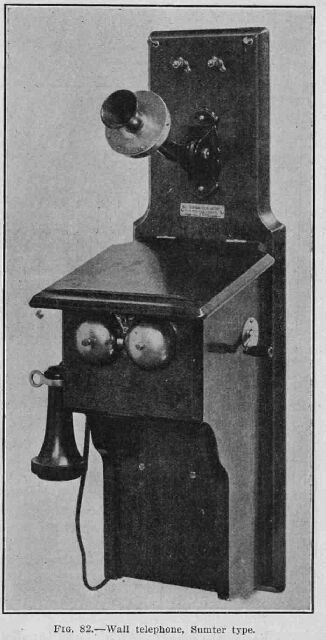 CAMP TELEPHONE MODEL A. 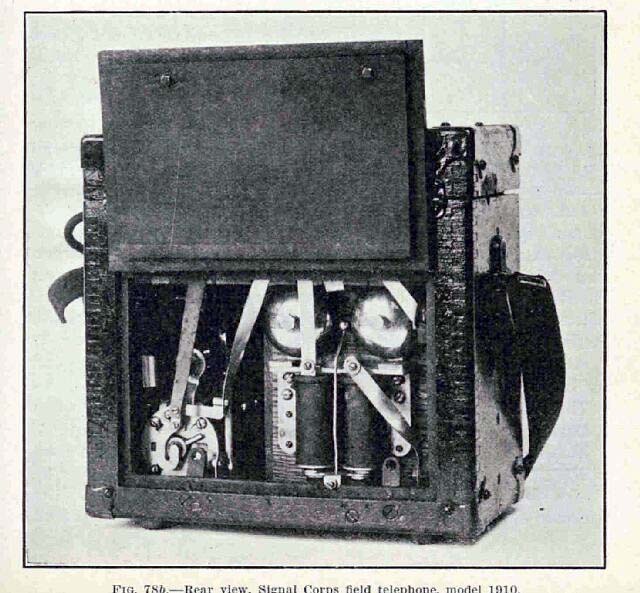 This was a redesign to use only one BA-1 battery of the EE-3B, which was converted after WWI from the EE-3 which contained a buzzer for morse signaling over connections too poor for voice use. Unfortunately the Germans discovered how to pickup the electromagnetic waves and/or earth currents at quite a distance from such wired devices and rendered their use unknowingly insecure. 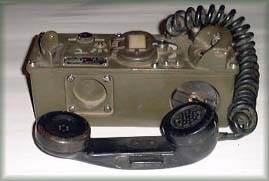 This didn't dissuade the British from continuing to use Fuller Phones (U.S. equivalent model EE-1) during W.W.II. I've seen photos of the devices the Germans used to "listen-in" but so far know of no one who has preserved such a device. If you'd like to see the wiring diagram for this phone click the picture.